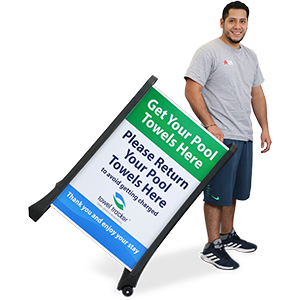 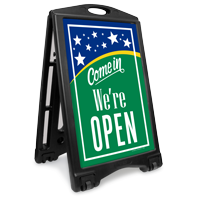 Let customers and visitors know when your facility is open with this A-frame sidewalk sign. 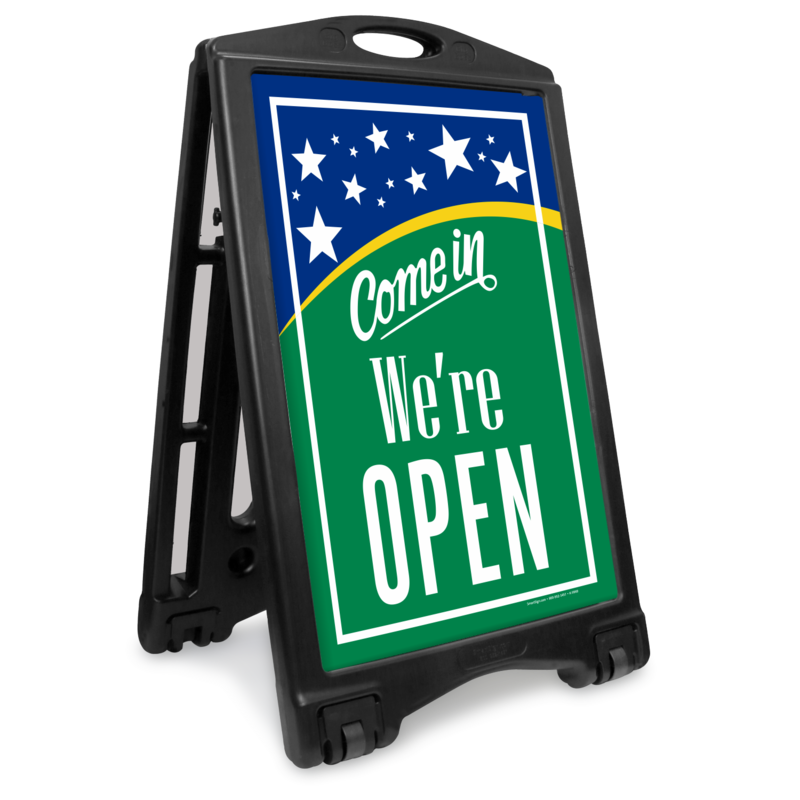 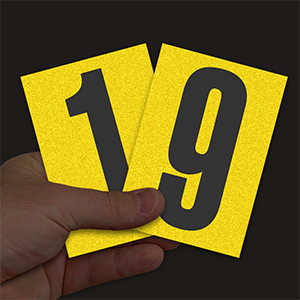 Perfect for offices, restaurants, cafes, retail businesses, hair dressers, and service industry, the sign lets your clients know of your availability. 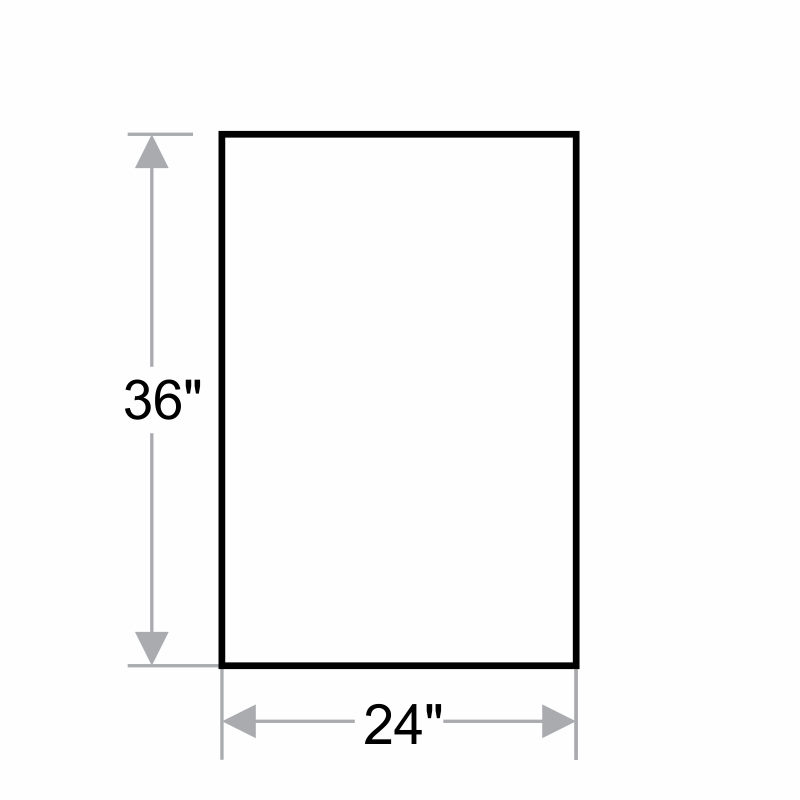 • The frame accommodates two 24 inch x 36 inch signs (included in the order). 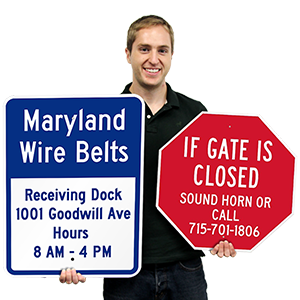 • It's easy to get your message out on the streets with a sidewalk sign.